The Sons Of Liberty - Grinding Down The (American) Slaves and Crushing Them from Beneath! 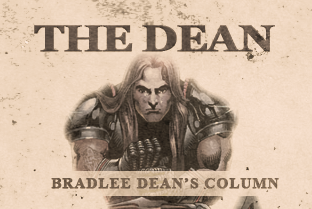 Home - The Dean-Grinding Down The (American) Slaves and Crushing Them from Beneath! Just yesterday, when traveling through the South, getting up and walking out of the hotel room, laying there in front of the door I was again affronted with the headlines “Clinton's lead over Trump narrows to 5 points.” Really? This is coming straight from the desk of the “useful idiots” that advocate the lies and propaganda. John 10:10 How does that work? Where did that support come from? When walking out of the hotel, I could not help hearing what the propagandists were broadcasting while the FBI Director was talking of the “carelessness” of Hillary Clinton’s compromise of America’s security (caught once again in the act of treason). He even went so far as to say that no reasonable prosecutor would take up charges against her. How telling could it be, America? We have become corrupt from the top to the bottom (Jeremiah 2:19). How many crimes do the Clintons need to be exposed for before the American people lawfully deal with themselves? It has also been reported that Hillary is flying on Airforce One with the criminal that has been tolerated for 7 and ¾ years by the American people. As you well know, Congress has continually failed you; not by chance, of course, but by design (Daniel 8:25; Hosea 4:6). Congress now has an 8-11% approval rating. That percentage is found in those who attempt to justify what they know they cannot (1 Corinthians 10:12). Over and over again, America has stood back and watched the continual assailing of the freedoms which were bought for her at such a high cost. On a daily basis, this corrupt representative government is attempting to tear down the Republic, which our forefathers established, by attempting to overthrow it through democracy. When the founders brought forth the Declaration of Independence, it was that document that made the separation between the states and the tyrant across the pond. It was a declaration that America would be ruled by a tyrant no longer, and instead, be yielded to the God of Abraham, Isaac and Jacob to establish a free people (2 Corinthians 3:17) under God. The Lord is going to get America’s attention one way or another. You can rest assured He will (Leviticus 26:14). It is either that we are going to listen and take heed to His chastisements, or His judgments are going to continue to fall. You choose (Deuteronomy 30:19).